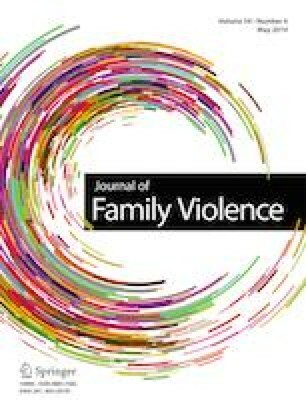 Mothers who experience intimate partner violence (IPV) are at increased risk for experiencing workplace instability in the form of absence from paid employment and job loss. In a cross-sectional study, we investigate if experiences of IPV inhibit work stability among low-income women as well as if the receipt of child care subsidies has a moderating effect on the relationship. Using data from the Illinois Families Study, we tested the relationships between IPV, work outcomes, and recipient of child care subsidies in a series of multivariate regressions. Findings indicate IPV is associated with reduced hours worked among low-income mothers and increased unemployment among low-income mothers. However, both of these relationships are moderated by receipt of child care subsidies suggesting that mothers who experience IPV can maintain employment at the same level as women not experiencing IPV with receipt of child care subsidies. Our findings indicate the importance of receiving child care subsidies among low-income mothers and support subsidy accessibility to survivors of IPV. Results of our study are limited in regard to the age of the data, the cross-sectional use of the data, and the lack of a control group that was not receiving any type of government assistance. This project was supported by the Secondary Analysis of Data on Early Care and Education, Grant Number 90YE0173, from the Office of Planning, Research and Evaluation, Administration for Children and Families, U.S. Department of Health and Human Services. Its contents are solely the responsibility of the authors and do not necessarily represent the official views of the Office of Planning, Research and Evaluation, the Administration for Children and Families, or the U.S. Department of Health and Human Services. The project described was supported by award numbers R25HD074544, P2CHD058486, and 5R01HD036916 awarded by the Eunice Kennedy Shriver National Institute of Child Health & Human Development. The content is solely the responsibility of the authors and does not necessarily represent the official views of the Eunice Kennedy Shriver National Institute of Child Health & Human Development or the National Institutes of Health. Administrative data linkages were developed by the Chapin Hall Center for Children, and survey data were collected by the Metro Chicago Inforamtion Center (MCIC).